Though an oversize, chunky knit sweater may be the first layering piece you find yourself gravitating toward as the summer season winds down, we have another cozy staple that's we're fairly certain will inevitably find its way into your sweater-weather wardrobe rotation sooner or later. Fashion girls have been sporting the practical layering piece nonstop, and retailers have been unveiling a steady stream of these fashion-forward, easy-to-wear, floor-grazing jackets as of late. Yes, we're talking about long cardigans—and they're about to become your new favorite throw-on-and-go piece for autumn. To help you kickstart (or streamline) your cardigan collection ahead of the new season, we decided to scour the vast online market to find 20 of the chicest styles that we think are well worth their price tag. Of course, we've sprinkled several affordable finds into the mix, as well, so regardless of your budget, we're certain you'll find a sleek longline cardigan below that hits on all your fashion criterion. 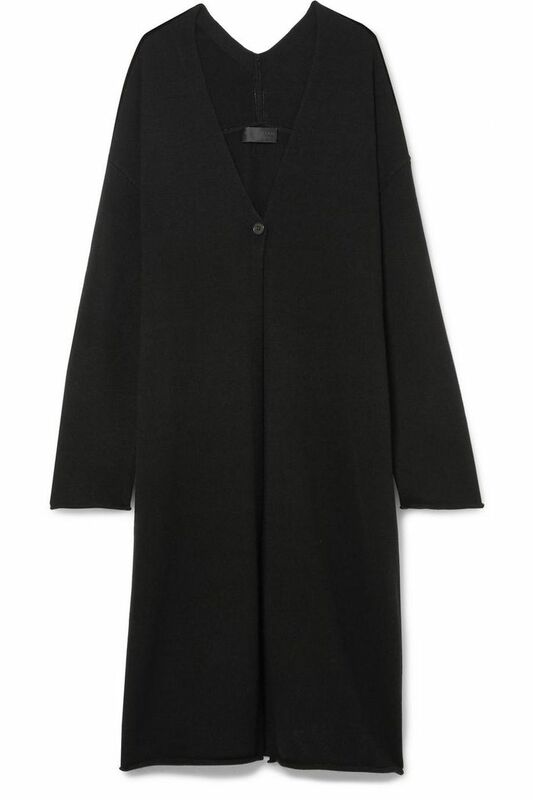 Want a classic black one you can wear with literally everything in your closet? We found plenty of those. Or do you want one that's eye-catching and statement-making? We found a super-cool color block style that's certainly very eye-catching. Ready to see the rest of our cardigan edit? Then read on to see and shop 20 styles to layer over with all of your wardrobe staples. You can't go wrong with a sleek black pick. Stay cozy in this pretty burgundy option. Style this one over your favorite maxi dress. A pretty pick at an unbeatable price? We're sold. We love the side slit detailing on this one. Hit on all of the top color trends with this cardigan. We're loving the pretty blue hue. The menswear-inspired cut on this cardigan is so on trend. Fact: You need a forest-green piece this fall. This one's made out of recycled polyester. Style this one with your go-to midi dress and cool cowboy boots. These functional pockets on this cardigan are game-changing. Fringe detailing make this cardigan oh so fun! We love this one paired with light-wash jeans and a basic white tee. Wear this one all season long. What's not to love about this one? A white chunky (and cozy) knit you'll be so happy you have when the temperatures drop. How cute are the slightly puffed sleeves? Next up, check out these trendy fall kimono outfits that are super easy to re-create.